Today’s post is a guest article from the lovely Kara Buffardi, the driving force behind Craveity Marketing & Branding. Kara works with local businesses, non-profits and start-ups dedicated to changing our food system for the better. She does this by guiding clients on their brand strategy and communications so they can reach their audience and make a greater impact. While I have the visual side of branding covered, she’s going to give you some tips on the more nebulous side of brand messaging. Answer me this: What is your core brand message? Whew, what a doozy. That’s a tough question, but my goal is to make it easier for you to answer by the end of this post. A core brand message is the one main idea that defines your company or business. It’s the core essence of your brand. It’s what makes you… you. When someone hears your company or brand name, what’s the one thing they can’t help but think of? THAT is your core brand message. A tagline is one component that makes up a brand, but your brand is really influenced by every interaction someone has with you and your products. That’s why it’s important to start with your brand message before creating your designs and other marketing materials. Your company’s mission and values should influence the way your company operates; they are driving forces behind every decision your company makes. If your core brand message is in sync with your mission and values, you’ll find that it’s 100x easier to be authentic and communicate your brand message consistently. What do you and your employees care about? How does your company make an impact for your customers or the world as a whole? What are some opportunities that your company would turn down instantly – and why? After you have a solid understanding of your company internally, let’s explore the external influences. First, who is your target audience? (and don’t say “everyone!”). Your customers help your business run, so you need to appeal to whatever is important to them. Understand who they are, and what they care about. The people who are buying your products/services now – why do they buy from you? What customers do you want to attract? What are their demographics (age, location, income, etc.)? What motivates them/what do they want? Once you have a solid understanding of your target audience, you can determine where your company and your customers overlap. We’re getting closer to defining your core brand message. The last main factor to consider is your position in the marketplace. Take the ideas from the last step (where your company and your customers overlap), and compare that with your competitors. Are your competitors already promising the same thing? Why would someone buy from you instead of them? Your core brand message should be different from your competition’s. Once you have an idea that (a) blends your company values, (b) considers your target audience, and (c) differentiates you from your competitors, you have your core brand message. Use your brand message as a planning tool for your designs and marketing materials. When you meet with your designer or marketer, tell them your core brand message and make sure they understand. You now have a good starting place to ensure a clear and consistent brand. 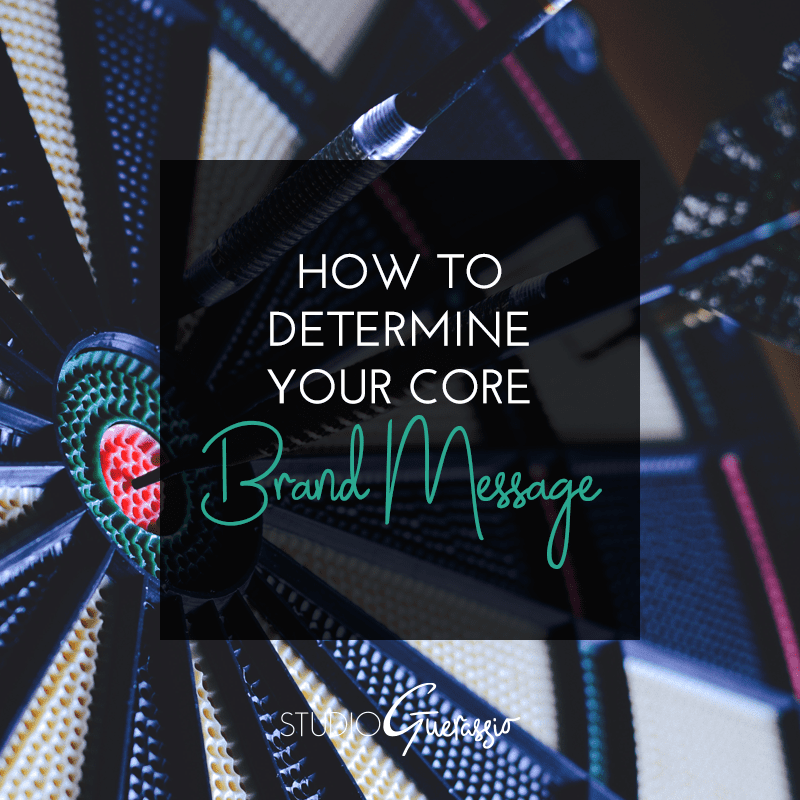 Readers, have you gone through the process of nailing down your core brand message? What would you add to this advice?